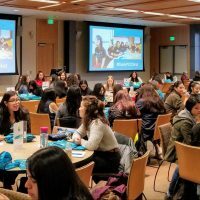 The sixth annual Hermanas Conference welcomed more than 200 Latina high schoolers from throughout the metro area to Portland Community College’s Rock Creek Campus on Oct. 27. There they immersed themselves in STEM-related education and career opportunities. PCC and Intel have co-hosted and jointly staffed the event each year since 2013. 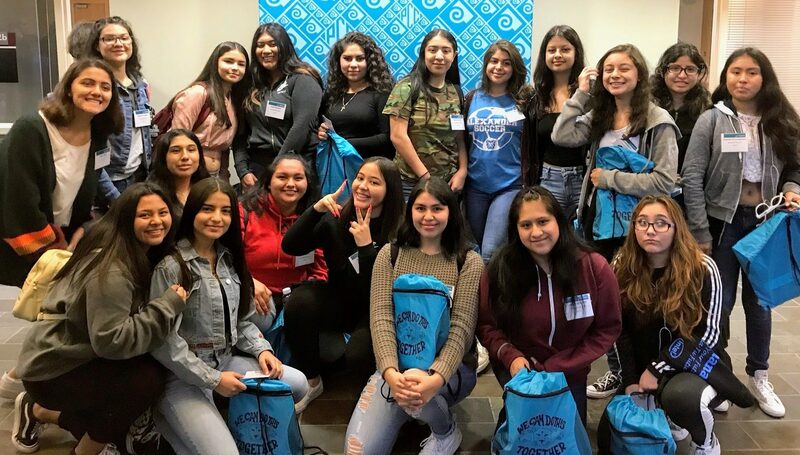 The Hermanas Conference seeks to change perceptions while inspiring underrepresented Latina youth to pursue studies and careers in technology and the sciences. 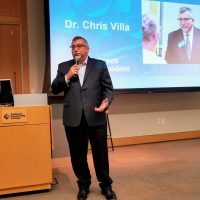 Participants learn what it takes to be an engineer, scientist, or a technical professional through hands-on experience and testimonials from STEM students and professionals. 2018 Hermanas Conference keynote speaker Elizabeth Cobarrubias with an attendee. 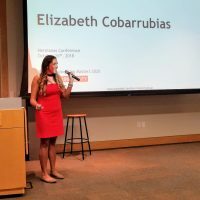 Keynote speaker Elizabeth Cobarrubias, a native of Hood River, opened the day with a stirring speech, describing her upbringing as the daughter of migrant farm workers, obstacles overcome en route to becoming a triple major graduate of Oregon State University, and her current work as a textile engineering graduate student at North Carolina State University. Prior to attending North Carolina State, Cobarrubias took prerequisite courses for engineering at PCC, an experience she said provided inspiration and encouragement, as well as affordability. 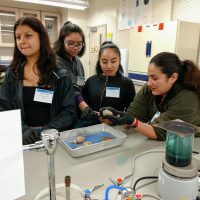 Later, Hermanas students were able to attend two from a list of 10 different classes and demonstrations that brought science and technology education to life. 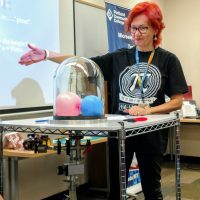 From projectile physics, to high impact meteor craters, to electrifying paper circuits, hands-on creativity and excitement were the themes of the day. Ruth Gaitan, an Americorps transition coach and George Fox graduate currently applying to medical school. 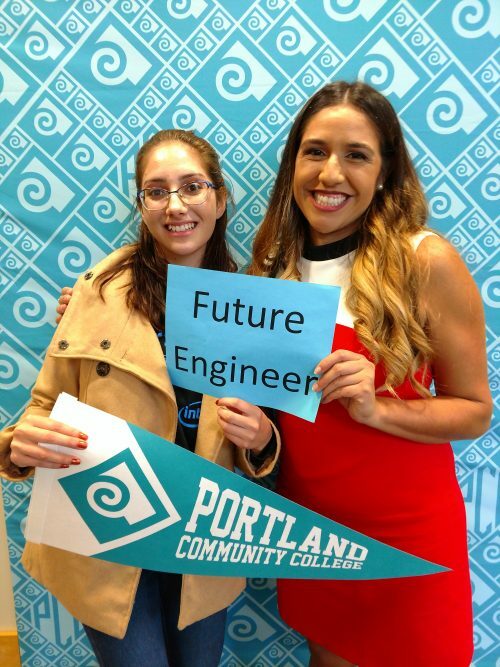 America Rodriguez, a former Hermanas Conference participant, Westview High School graduate, and current PCC Future Connect student planning to study engineering at Portland State. Miriam Ceja, the facilities technology transfer manager at Intel and University of Washington graduate.